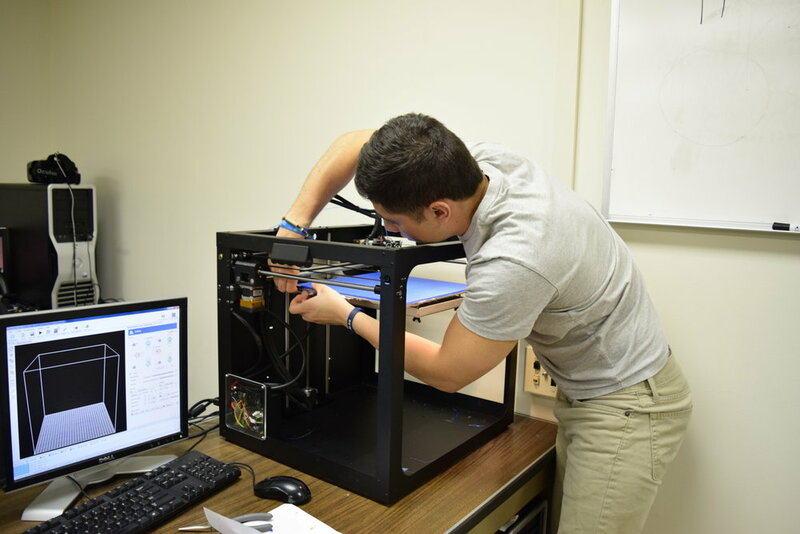 Innovation often comes from the unlikeliest of places but in this particular instance, there's some irony in that a joint venture to pursue the latest advances in 3D-Printing, originates from Innovation Boulevard in State College, PA. Solid Innovations, LLC is the derivation from a meeting between executives from both of the aforementioned companies. This discussion, focused primarily on the difficulties that exist within 3D-Printing, generated the intellectual foundation from which Solid Innovations was born. Imperial Machine & Tool Co. is an Advanced Manufacturing company founded in 1943. Imperial is focused on tackling the most challenging and difficult projects in industry, while providing the highest levels of customer service. 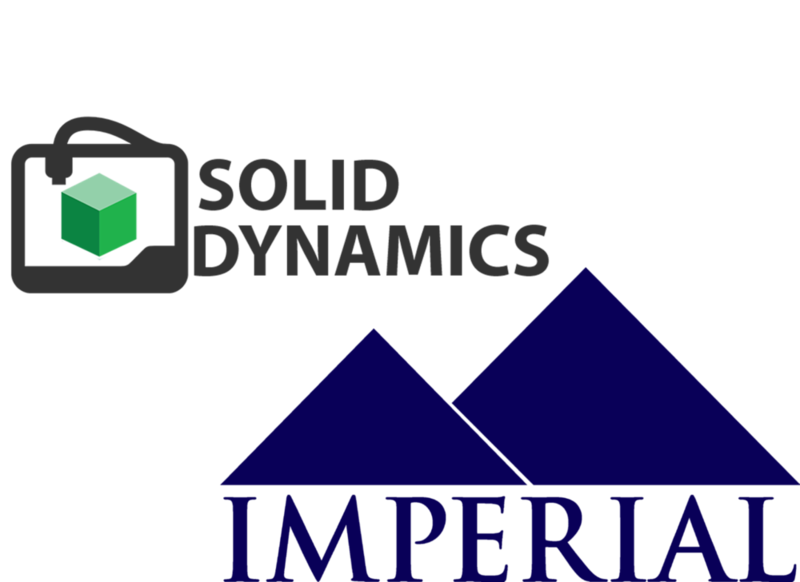 Some of Imperial's specialties include precision CNC machining, metal additive manufacturing (metal 3D printing), refractory metal working, precision welding, custom vacuum equipment and much more. Solid Dynamics, LLC, started in 2014 as a design firm for entrepreneurs, local inventors and academia in the surrounding State College area. Primarily focused on bringing client ideas to life, Solid Dynamics utilizes the latest techniques in manufacturing to produce quality prototypes and end-use components. Manufacturing at Solid Dynamics is often performed through the use of 3D-Printers, so much so, that they've purchased well over 30 Additive Manufacturing systems since the companies inception. 3D-Printing can be a quite profitable business model when done at scale. From Solid Dynamics' perspective, 3D-Printing, while a useful tool to produce prototypes, failed to provide mass production capabilities. This lack of productivity was often accompanied by 3D-Printer inability to alert operators of failures during the printing process. Therefore, highly trained operators were required to manually monitor or 'baby-sit' 3D-Printers during the entire fabrication process to prevent wasted material and machine time due to printing errors. The result of this process meant significant overhead cost and scalability issues for Solid Dynamics. From Imperial's perspective, the problem with 3D-Printing was much more serious. For 75 years, Imperial has stood behind their time honored principles of Quality, Innovation and Service in all aspects of their manufacturing processes. After adopting metal 3D-Printing in 2013 and purchasing the required equipment, Imperial realized that quality and traceability were significantly lacking in Additive Manufacturing (AM). What is the metallurgy & chemical composition information for this part? What are the isotropic mechanical properties for this part? Does this part meet the pre-defined geometric tolerances listed on the customer supplied 2D-Drawing for both external and internal features? These basic questions make up the foundation that provides customer confidence in the parts that Imperial produces everyday using traditional manufacturing methods. Yet, leading experts in Additive Manufacturing struggle to answer all three of these questions with anything less than a thesis which often confuses customers and makes them weary of Additive adoption. To create solutions for these problems, Solid Innovations focuses on collecting and analyzing data created during the 3D-Printing process. This technique, known as in-situ process monitoring, allows for the creation of quality & traceability data for every produced 3D-Printed part. Once created, analyzed, and stored, this collected information from 3D-Printers can be utilized to inform other components of the Additive Workflow. This inter-connectivity within the Additive environment enables increased efficiency, reduction in the Additive learning curve, and production scalability. Interested in learning more about the foundation of Solid Innovations? Check out our blog! Look inside the Workflow Toolbox to learn about the powerful software that makes up our Enterprise Additive Manufacturing Solution. Designed by Solid Innovations, LLC in Pennsylvania. © Solid Innovations, LLC. All rights reserved.